Designed at the same time as the BIM building in The Hague, this savings bank was built 12 years later. The use of ornament and traditional architectural principles are here less pronounced. Here as in the BIM building, Oud deployed white hand-formed brick and geometric ornaments in a severely symmetrical facade. The centrally placed entrance with glass block walls emerges in an oval main hall (now altered). 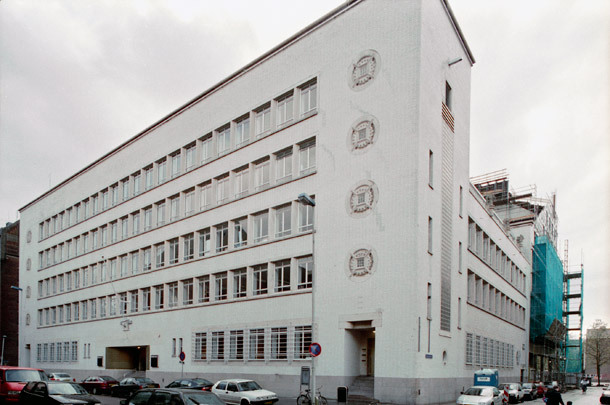 In 2000 the building was appropriated by the Berlage Institute, a postgraduate laboratory for architects.